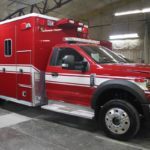 The department’s new ambulance which is being built in Sumner, Idaho by Life-Line Emergency Vehicles is complete (see photos) and will be transported to the local dealer Specialty Vehicles in Plainville (MA) for final preparation and graphics during the week of July 2. 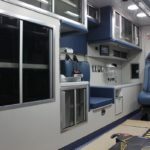 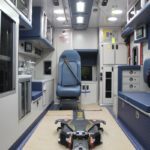 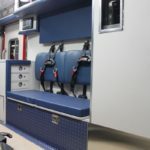 While the interior patient area is modeled after our current ambulances to ensure familiarity and consistency of the fleet several design upgrades have been made to improve patient care, and operational efficiency including the addition of a vehicle mounted stretcher loading device. 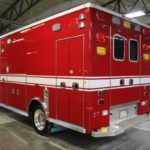 The department has had proven success with the quality construction of Life-Line Vehicles and the customer support provided by their local sales representative. 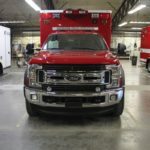 The vehicle, which is expected to be in service late July is being purchased through a lease program using funds from the ambulance revenue account.